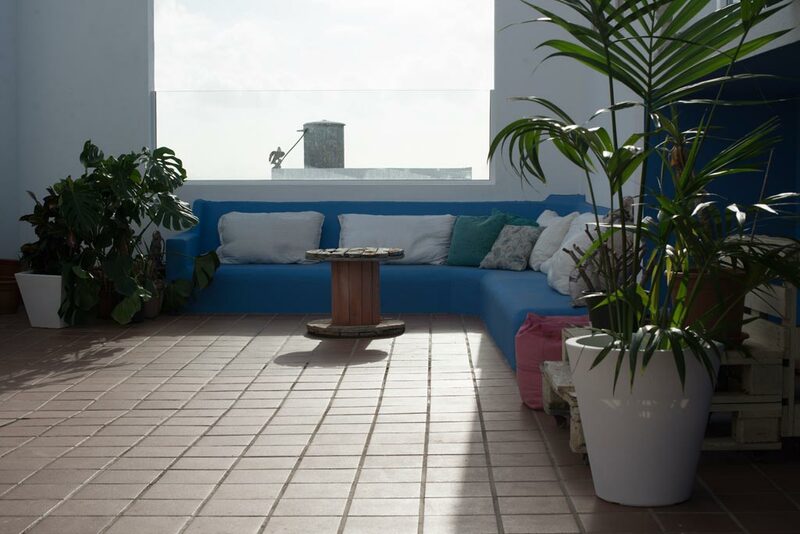 Enjoy your vacation to the fullest: The LAIF Hotel is El Cotillo’s nautical lifestyle hotel. 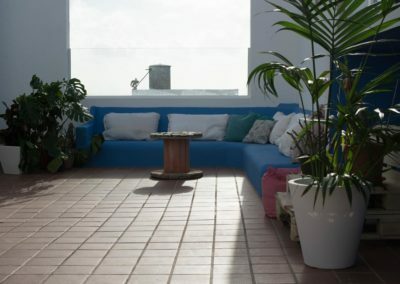 With the beautiful sun terrace on the rooftop with seaview and a chilled pool the LAIF creates an atmosphere of peace and serenity. 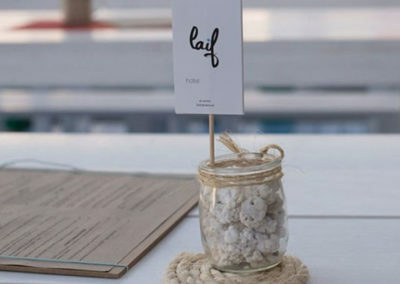 The open, relaxed and informal vibe the LAIF offers, makes it easy to make new friends. 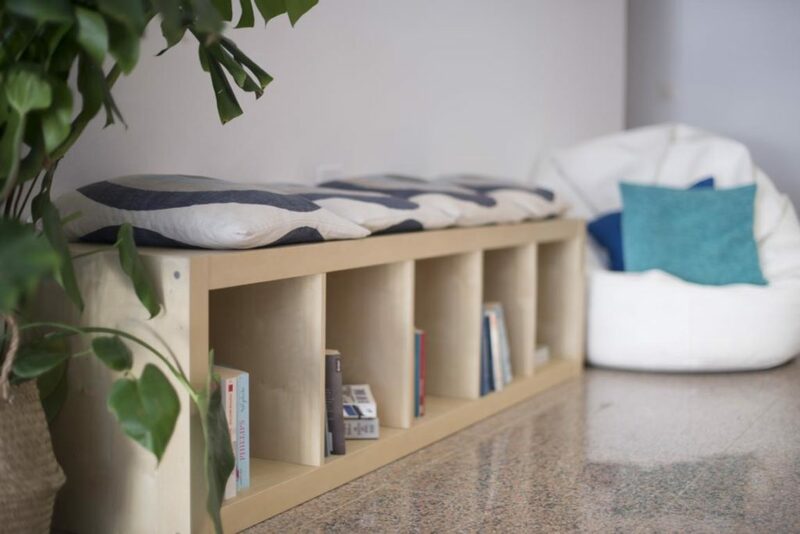 Solo travellers won’t be alone for long as it feels more like a hostel than a hotel. 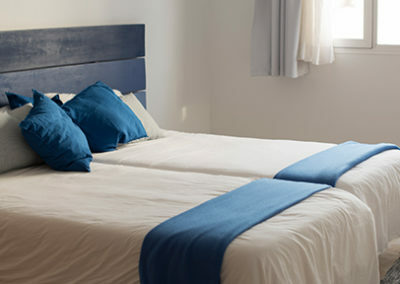 This small hotel pays special attention to tidyness and a friendly atmosphere. A lovely decoration completes the overall picture of the LAIF hotel. 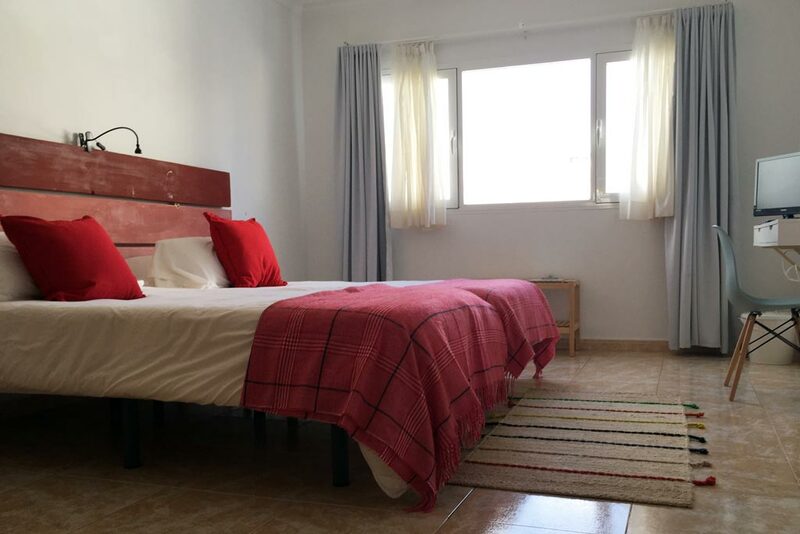 Combined with the tidyness, service and friendly atmosphere, this is the perfect place to relax after an active day in the water. El Cotillo is an unspoilt spot in the north of Fuerteventura. Its surroundings make it a place of great beauty, where time passes gently to a rhythm of sunny days and the calm nights. 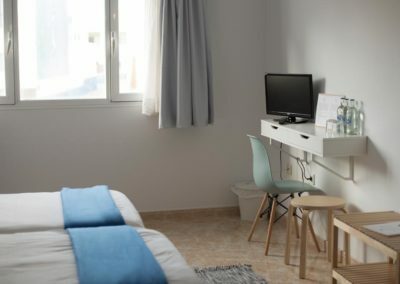 In spite of being a quiet enclave, El Cotillo offers a great variety of leisure possibilities as well as the crystalline tranquility of its white sand beaches and swimming lagoons. The El Cotillo beaches are the perfect place for practising surfing, windsurfing and scuba diving. Its well-conserved coastal areas offer a unique environment for trekking. The LAIF Hotel offers a variety of breakfast options. 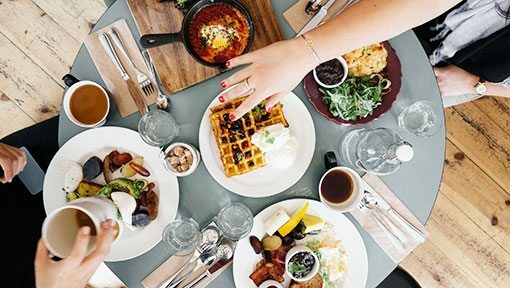 There is an option of a full breakfast tray that has: 2 slices of bread – toasted, olive oli, fresh grinden tomato ‘ pantumaca’ in spanish, jam, butter, croissant or another bakery and orange juice for 6€. They also have a wide range from homemade müsli, banana pancakes, spanish omelette, smoothies, chicken sandwich, and much more in the range from 4€ to 6€. So it is possible to choose something different everyday. The breakfast takes place everyday from 8 to 11. If you like to have breakfast outside the hotel we can recommend the french bakery “El Goloso” or the café “Mentidero. 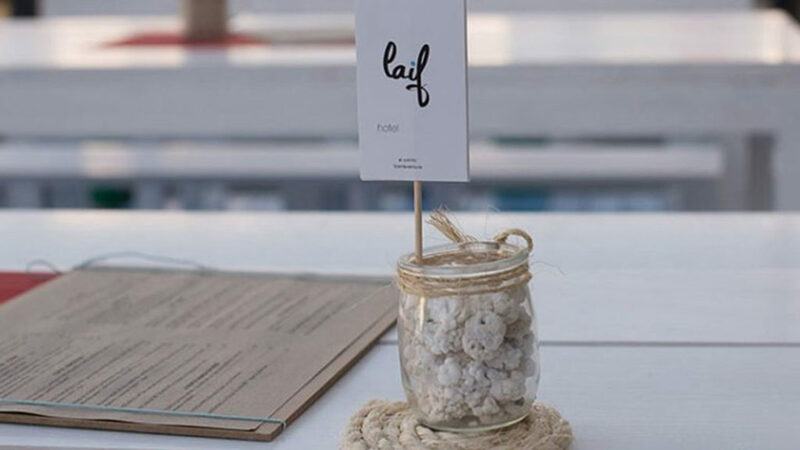 As a guest of the LAIF Hotel we’d be happy if you joined the BBQ or Burger Night in our Surfhouse on Tuesday the Pizza night on Thursdays (15 € / person), great food in a chilled atmosphere where all guests share their special experiences and moments of the day. 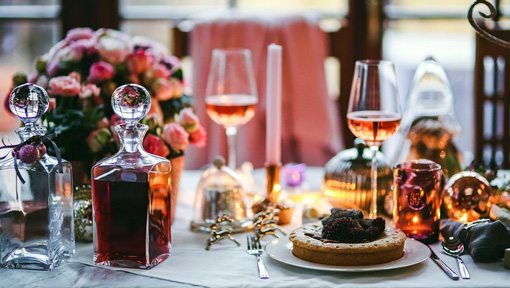 We are happy to fullfill any other wishes – just come and talk to us! 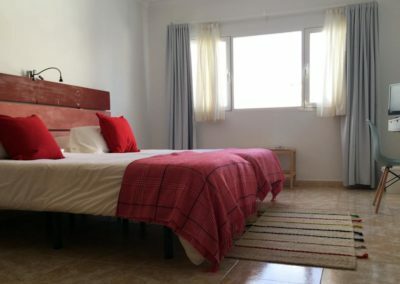 Surcharge of 5€ per night when booking less than 5 nights. 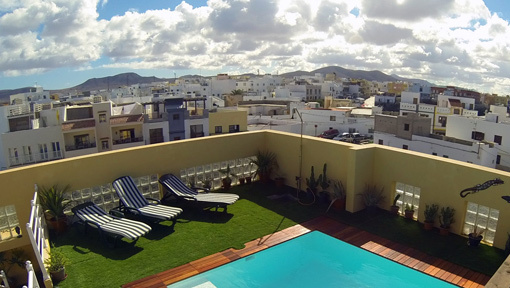 Fuerteventura is a paradise for surfers all year long! That’s why we are open the whole year. 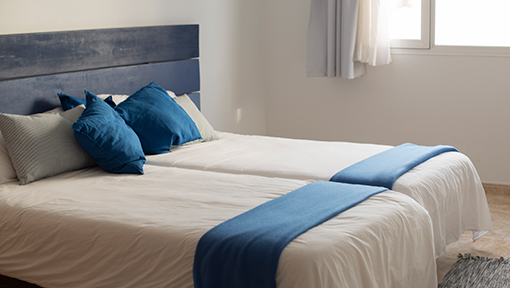 Please ask for availability and we are happy to provide you a room. 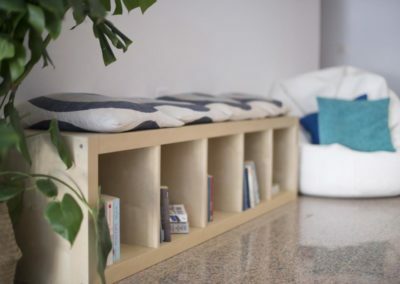 For security reasons, the LAIF Hotel needs the data of your credit card as a deposit. These are pledged as security. 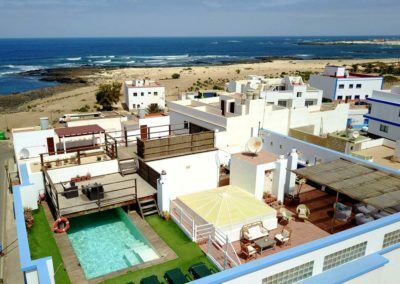 El Cotillo is the perfect place to learn surfing or improve your surfing skills. Surf with us our favorite waves in our surfing courses or a private coaching and get to know the various surf spots of Fuerteventura! Learn how to surf with us! Surfing is not enough? There’s plenty to follow your pleasure: Yoga, horseback riding, skating, diving or massages – to name just a few. Enjoy our activities! How far is it from the LAIF Hotel to the FreshSurf Surfschool? It’s about a 10 minute walk from the Hotel to our surf school. We will provide you with a map per Mail short before your arrival. How far is it to the Beach from the LAIF Hotel? 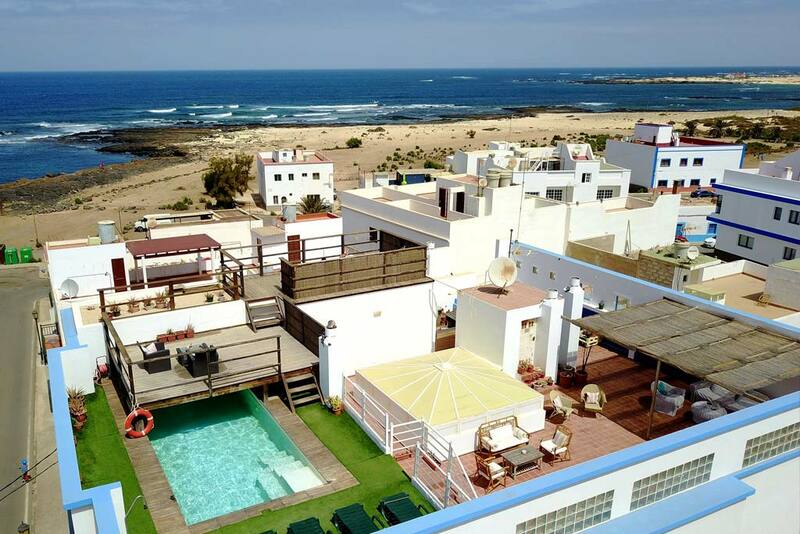 The LAIFHotel is about 100 meters distance from the ocean. A beautiful spot to watch the breaking waves, it’s not suitable for bathing and tanning though. For relaxing, El Cotillo has a great beach: The lagoons with their white sand and calm turquoise water are just a 5 minute walk away. Are there any restaurants and supermarkets? There’s a small super market and various delicous restaurants close to the Hotel.